During the 2006 and 2007 summers, I spent eleven weeks in Turkey assisting an archaeological expedition at a Greco-Roman city named Aphrodisias. 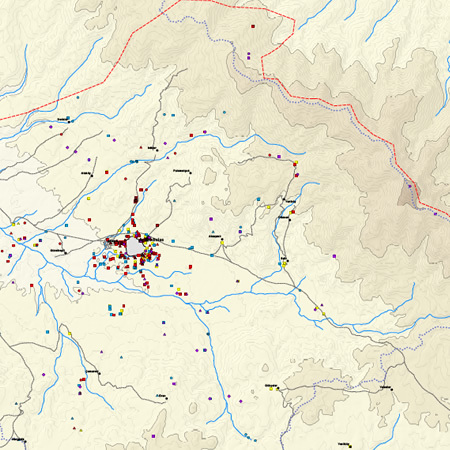 A small Geographical Information Systems (GIS) team worked on producing maps to assist the project, both in surveying the region and artifact collection. 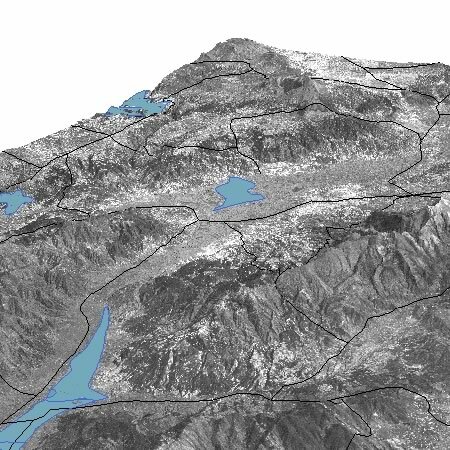 Creating site level contour maps was a major effort in the first season. This was achieved by intensively sampling sites with high-precision GPS units and interpolating the terrain surface from the collected data. 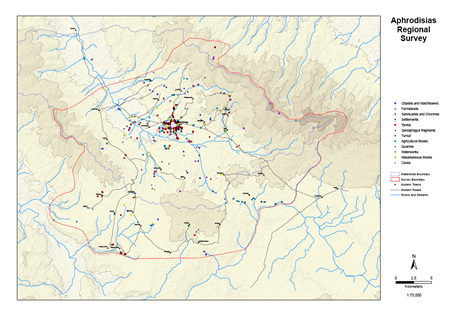 I primarily worked on developing methods for predicting the location of ancient sites, such as iron mines and forts, and the routes of aqueducts and ancient roads. 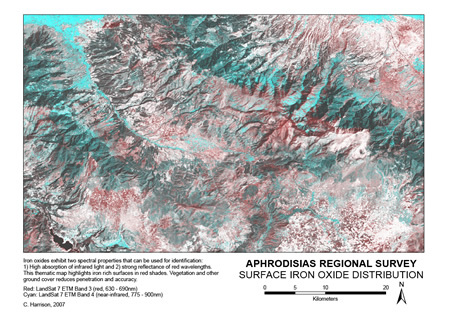 We used elevation data from NASA's SRTM and ASTER missions. Multispectral satellite imagery was obtained from Landsat 7 (ETM+) and Digital Globe's Quickbird. 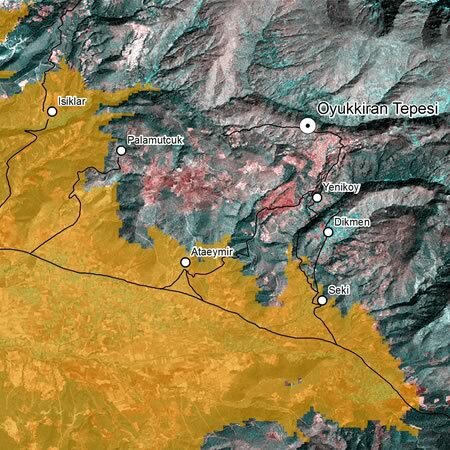 Parts of printed Turkish military maps were digitized by hand, as well as some academic geological maps. Here are some random and not particularly interesting maps that were produced. 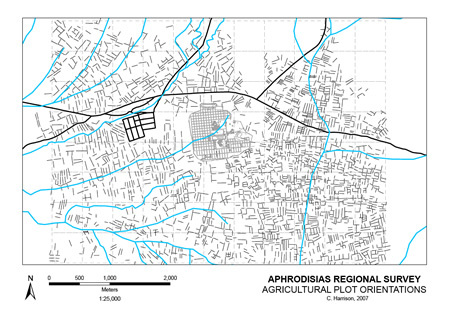 Functional maps with accompanying analyses (not shown here at all) will be featured in forthcoming publications.